Pro Tour Rivals of Ixalan was done in the Draft and Modern (not Standard), and was a resounding success. The format was shown to be diverse, layered, and competitive - drawing out the best levels of play among many pro players. Wizards of the Coast as a company emphasizes Standard and Draft, which makes Modern as a format for enfranchised players to retreat to (unless you're someone with flagrant disregard for money, like me, who plays everything). The Pro Tour winning deck, Lantern Control, drew some speculation from the player base as to whether it'd get hit by a banning. I personally didn't see this to happen. Wizards try to never outright attack one deck in a banning announcement anymore. In the instances of Aetherworks Marvel and Felidar Guardian were understandable, recent exceptions; those decks were too dominant and unfair. Recent bannings in Standard saw Temur Energy and Ramunap Red both be taken down - same with the bannings of Copter, Reflector Mage, and Emrakul, way back when. The most recent bannings of anything in Modern saw the weakening of Dredge and a large number of Combo Decks with the removal of Golgari Grave Troll and Gitaxian Probe. No deck in either format is at that level of dominance. Yes, Lantern Control won the Pro Tour, but it's not justified to ban an integral piece of it like Ensnaring Bridge or Lantern of Insight. I did not call on what would get unbanned. 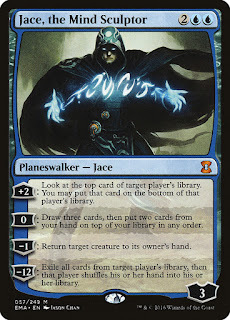 There's been rumours and whispers for over a year about the unbanning of Jace, the Mind Sculptor; but never did I think Wizards would have the nuts to reprint the Blue Walker boy. 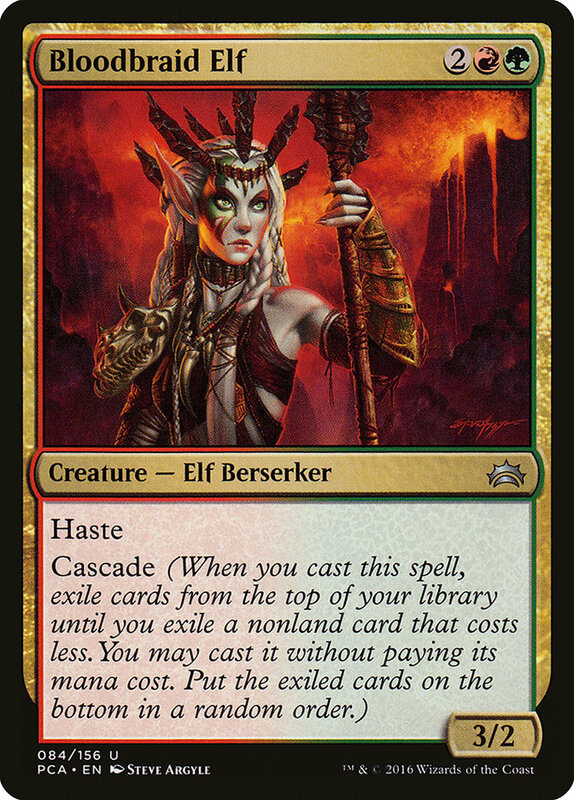 Following him into the format is the hyper-agressive, combo enabling Elf that gave him trouble back when they were both in Standard. Now they're back in Modern, so what does this mean for the format? 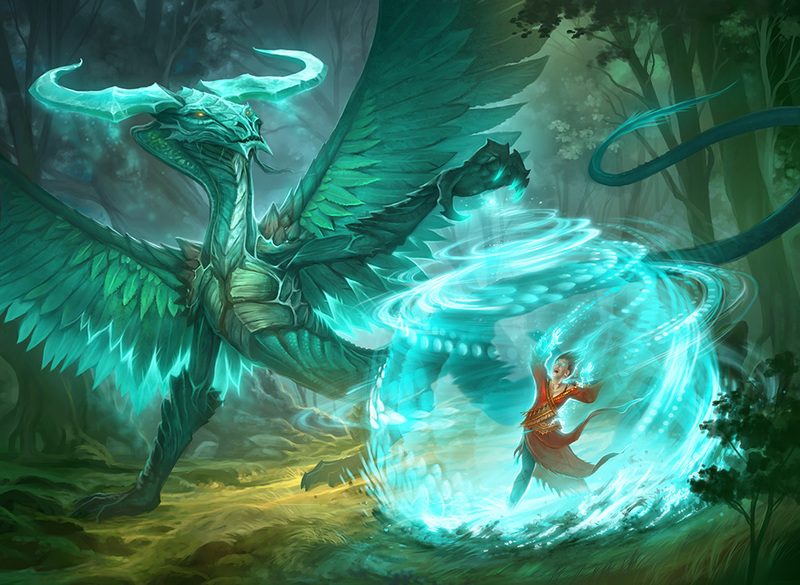 On first glance, her first return would be in her old home: Jund Midrange. Everything in that deck falls under her on the curve: Liliana, Liliana, Goyf, Collective Brutality, various discard, Bolt. She's always welcome at home. Other decks will experiment with a four mana cascade trigger. My first thought is Living End. A trigger to recur all the creatures you cycled and kill all theirs with a Hasty creature to boot feels nice. There's room to experiment with other cards with Suspend, most notably Ancestral Vision in a Temur shell with Commands and Eternal Witness maybe? I love new cards. He's back. He's tripled in price in the short hours of the announcement. Many builders are speculating as to what the best shells are to put Jace into. 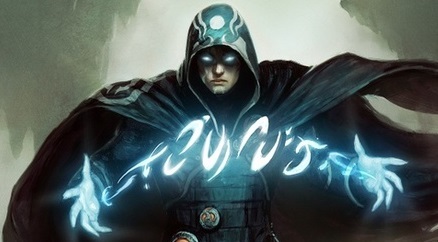 It's no question that he's instantly surpassed Liliana of the Veil as Modern's most powerful Planeswalker, but the question of what kinds of Modern decks, don't play Jace. Blue/White/X Control immediately wants him as another win condition alongside Geist and Colonnade. His ability to protect himself against the biggest on board threat with his Unsummon -1, as well as netting you card advantage with his +2 or the Brainstorm on +0 means Control will always want him for cards and bounce. The turn 4 Jace is not as scary as the turn 8 Jace; to be able to hold up Cryptic Command makes the game seem very, very bleak, for the player staring down the Control deck. Now to consider one deck that really wants Jace in a more, insidious fashion: the Pro Tour winner. Lantern Control is a misnomer. 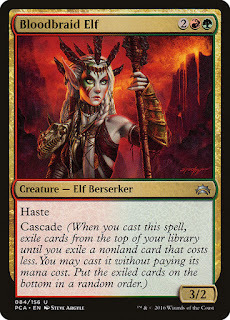 I personally feel it should be called Sultai Artifact Prison. It locks you out of attacking, being targeted, but most importantly, from having relevant draws. 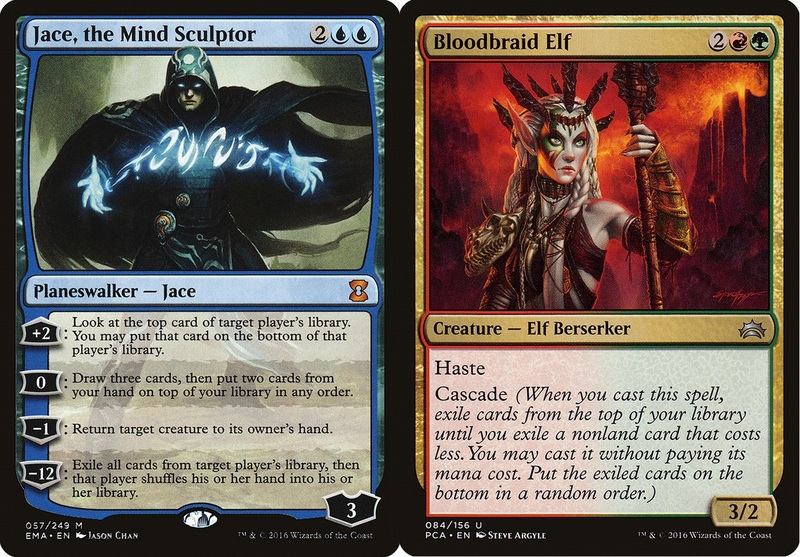 Jace, the Mindsculptor does this as well. 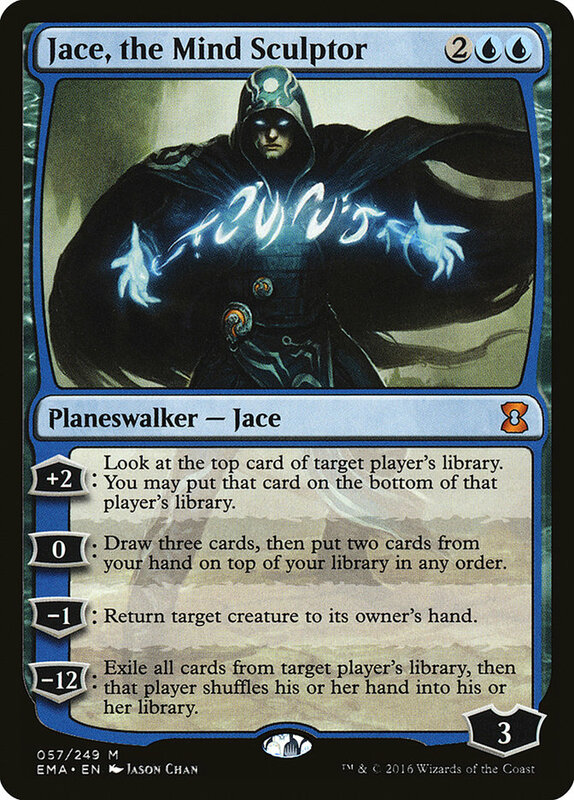 An additional way of shipping cards away from your opponent's hand in Lantern Control is to have Jace let you look with his +2. Doing that over and over can get you to his ultimate, which is just a few mills away with your codex shredder. Jace will see play EVERYWHERE. 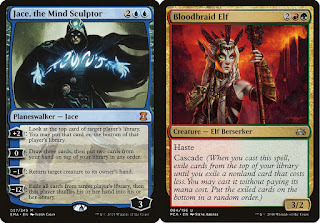 Control, Artifact Prison, Blue Midrange (even the aforementioned deck with Bloodbraid Elf and Ancestral Vision). Modern, once a safe, balanced place of many varied and strong decks has been set atwitter with the desire to run or fight Jace. Who knows what the future holds, but hopefully, I can score my copies soon.